We were so excited to conquer Nalusuan Island in Olango Reef Cordova in Mactan Cebu. 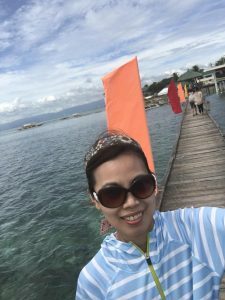 Yes, the name is interesting if you speak our Cebuano language. It always brought a laugh to whoever hear it the first time. I will let you guess the meaning of the word (to those English speakers. Hint, it is man’s private part in Cebuano language). The whole meaning of the word can be found in Wikipedia, you can go google anytime! 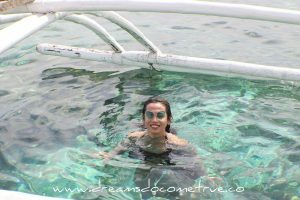 The first stop was Caohagan Island where we enjoyed swimming with the oh, so clear waters and it was not so cold nor warm, just right for a fun swim! The place was perfect for snorkeling also. Shame I didn’t have any goggles with me but I enjoyed the swimming part. We spent our lunch on the boat and jumped to the waters thereafter. It was fun, fun , fun! The last stop was at Hilotongan Island. 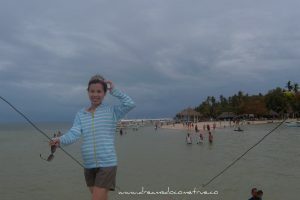 It is located in the west part of Bantayan Island. The team was set to go early morning at Cordova Parola and rode a “rented boat”. It is one of the three spots to go for our island hopping activity on that day. Your boat will wait for you and you just have to advise them what time will you be back. One of our team got sick “suddenly” and a nurse was very helpful. We brought along foods, and of course our cameras for the adventure and fun, and capture the beauty of the island. It was awesome and would love to stay there for a couple of hours more. There is this Giant clam which caught my attention and couldn’t resist taking a video. Just amazed. Taking photos with these guys and this wonderful island is heaven! Would even want to stay longer if we just had more time. Credits: Kristina Chantal, Axel James Dayon, The Dog Club Team, Ms. Mari and Francis and my beautiful sissies and family for the fun and never-ending cooperation with Manang’s plans. Thank you all so much for making this possible! Wow, truly Nalusuan Island is such a great place to unwind. I’ve been staying in Cebu for almost a decade, but never been here. Anyway, you guys seemed to really have fun-filled day on the Island and dousing yourself in that turquoise waters would be really awesome. I hope to visit Nalusuan Island soon if I get the chance. Thank you so much for sharing this with us. 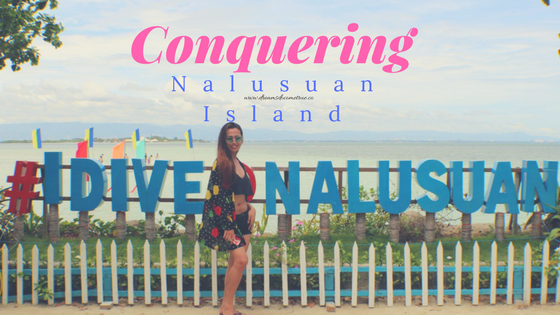 It’s the first time that I have heard of Nalusuan Island. I bet only a few (mostly locals) know of this place. No wonder the ecosystem seems to still be thriving. 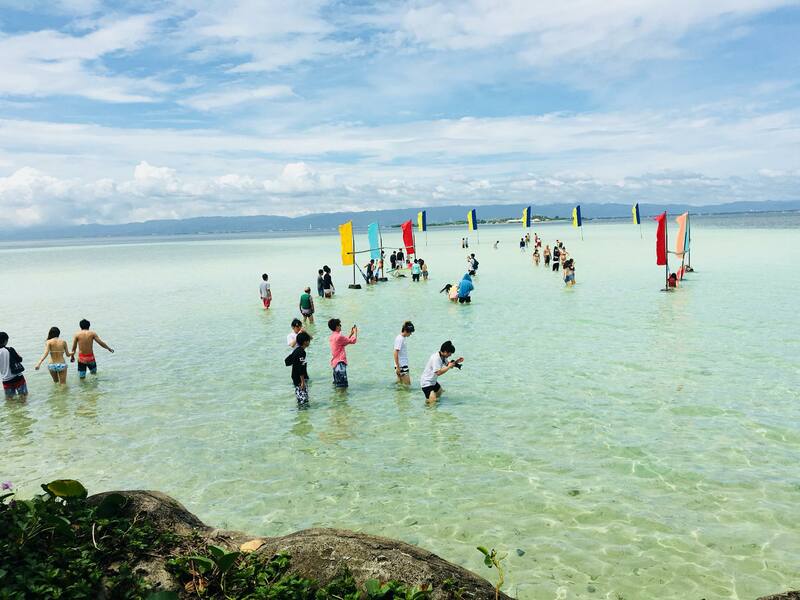 Is this really in Cebu? 😀 I can’t wait to add this island in my list to go places in Cebu. We are going there very soon. The destination surely sound like fun. Thanks for giving me ideas for my next vacation. Your photos are amazing as well and they make me feel like I want to book my next flight to Nalusuan right this instant! Those clams are giant indeed. Just wow. And the water is crazy clear! So amazing. 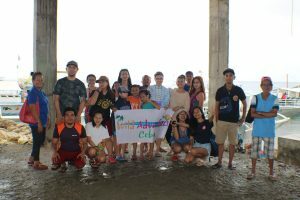 I haven’t gone beyond the city in Cebu, well actually did visit Mactan before but it’s for work and I didn’t go around. 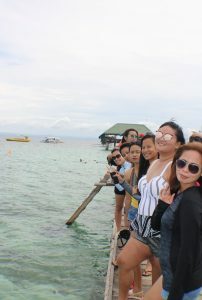 I wish I have a crew like yours whom I could take with me in Cebu. 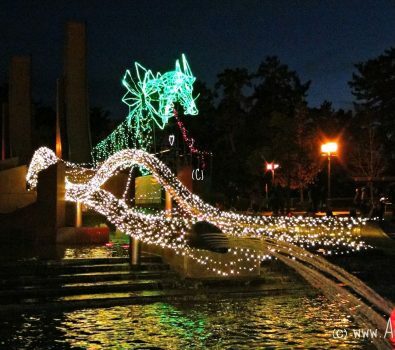 And I’d love to go visit Nalusuan, which means *bleep* in tagalog, lol. This is the first time i get to hear about that place in cebu. Very interesting and seems really nice to see as well. 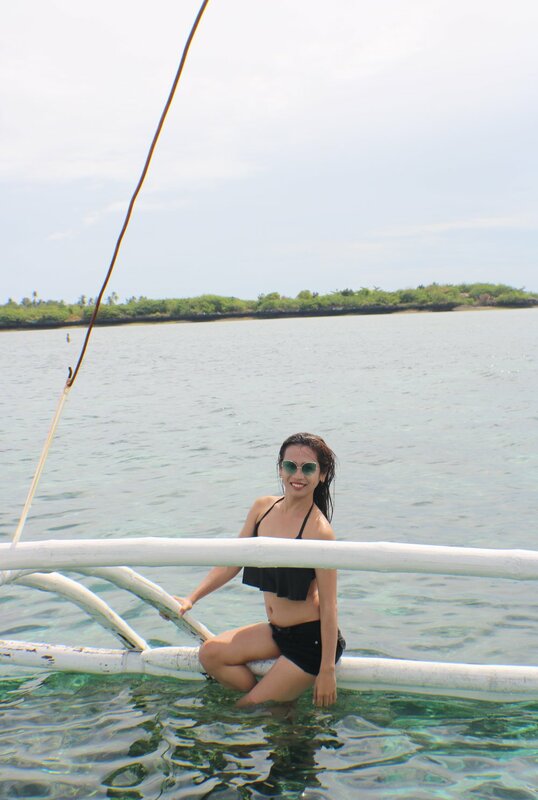 I love snorkeling and the water is soo clear as well. The name of the island is the most interesting one:) The place is a diving and snorkeling spot. I have heard of Olango reef before but not Nilusuan. It looks amazing based on your pics! Question, is the water really shallow? On your first pic, I’m still seeing people standing waaay too far from the shore. Lol. Hi Christine! Yes, at the resort area, though this is a diving spot. This looks like the perfect place I could enjoy with my girl gang! The name nalusuan is definitely very interesting, I am not sure yet how to pronounce it correctly. And the meaning is all the more intriguing..anyways..what matters is that one can have areal fun time with the water here. HI Neha! You said so. Bring your girls, you will surely have fun. Hi Sumit! Great view, perfect for photography, a photographer’s haven I may say. Amazing content! I will be sure to use this information if I happen to visit here. Thank you, we will strive to bring more valuable content and travel tips! Such a great place to visit. 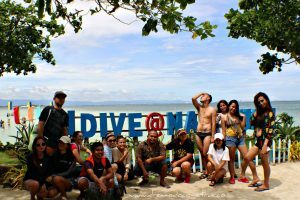 Thanks for sharing about Nalusuan Island. Agree to that. You are most welcome! That’s hilarious about the name! Your pictures really capture the beauty of the beach. I love this beautiful pictures and looks like a great time on the beach. 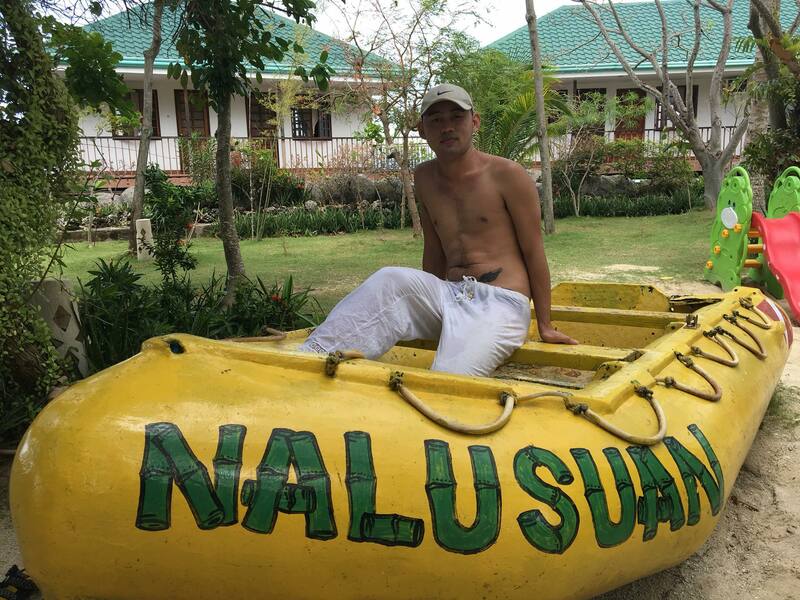 I have never heard of Nalusuan Island, thanks for sharing! Olanga reef looks like a place with amazing coral reefs and the food seems pretty amazing. SOmething I would try when I am there.